At the risk of going all Dr. Seuss on you, I’ve got Bombshell 1 and Bombshell 2. It’s a busy day for announcements! Monday, November 17th from 8-10 p.m. The owners tell me there may or may not be accompanying live music, so I’ll let you know if that happens. They’re a newer restaurant with a really cool pinup/rockabilly sort of vibe/decor/staff and they’re already getting a great reputation for good (and spicy) food, so I’m looking forward to this one. I’ll be selling and signing the very limited editions of Icarus On The Mend for $50. Once again, there are only ever going to be 50 copies in existence for this hardcover. If you want one, you should probably head on out for this one. I’ll also have copies of my other books starting at $15. I usually give a discount if you’re getting multiple books. So that’s Bombshell 1. As always, please take the time to ‘Share’ and ‘Like’ and all of that other fun stuff. That’s enough big news for one day. There’ll be more next week. Another new episode of Big Words Video is in the can. I was a little under the weather (having battled a cold for the last two weeks), but the results are pretty damned funny. Guest Kyle Kaczmarczyk and co-host Jenny O were a mismatched pair made in broadcasting heaven. I’m not really sure how or why the show wound up in Black and White (that wasn’t intentional), but we’ll chalk that up to the Big Words Poltergeist. Methinks that producer Richard Wicka may have done it on purpose in preproduction. 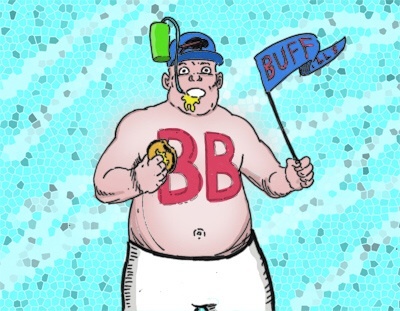 Tom hunkers down with New York Times bestselling writer/artist Kyle Kaczmarczyk (Fubar, Igor: Occult Detective, The Misadventures Of Silent Boy) about adolescent bathing, prenups, The New New 52 and other shameful joys. Co-host Jenny O. shows concern about being dropped from Facebook. PLEASE take the time to click on the link, watch the show, ‘Like’ the show and Share with your friends as early and often as possible. Word of mouth is everything. Thanks are in order to Kyle, Jenny and producer Richard Wicka for a great ‘webisode’. I’ll be back on the attack in a month with an unexpected guest and an ‘interesting’ co-host! The bonus segments are turning into off-the-cuff guerilla film clips. Also, please take the time to ‘Like’ each clip and ‘Share’ ad infinitum. This segment was filmed in 1080 High Definition, which was totally unnecessary considering the backdrop, but perhaps funnier within the context. We’re only a few days away from filming Big Words I Know By Heart Episode II (and 2.5, respectively) on ‘the Youtubes’. The first episode was so much fun that I can’t wait to get back into the studio. 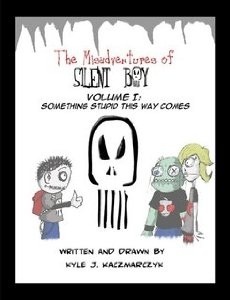 My guest this time around will be New York Times best-selling comic book writer/artist Kyle Kaczmarczyk (Fubar, The Red Eye, The Misadventures Of Silent Boy, Igor: Occult Detective and many other titles). Kyle and I have a long history together. He was around for the first season of the Big Words podcast and he’s accomplished quite a bit since then. My co-host will be Jenny O., who’s practically a sister to me. This will be her first time on the show and I can guarantee you that she’s going to be hilarious. Fortunately (or unfortunately, depending on your point of view), she’s exactly like me, but female. So (in a word), she’s completely insane. It should be a blast. I’ll post the link as soon as both shows are up. Word of mouth is everything, so please be sure to Like, Share and Comment. If you haven’t seen Episode I (and 1.5) yet with guest Jon Elston, feel free to click on the Big Words Video Links in the ‘Links’ section to the right of this post on the Home Page. On a side note, my Twitter account is now Private for reasons that are really nobody’s business but my own. You are welcome to follow me @tomfoolery444, but again, you will have to request access in order to follow my Tweets. I’ve been fascinated with director David Fincher since his shocking feature film debut with SE7EN (1995). Alien 3 (1992) doesn’t really count, because Fox retained final cut and, in doing so, butchered the film. This is well documented and Fincher has voiced his disgust with it’s production in more than one interview. Since the, he has failed to disappoint. His filmography (The Game, Fight Club, Panic Room, Zodiac, The Curious Case Of Benjamin Button, The Social Network, The Girl With The Dragon Tattoo) is (in my mind) flawless. He endures as my favorite director, and I feel that he is the Alfred Hitchcock of my generation. I’ve always wanted to write a critical analysis on his life and work, but have a sneaking suspicion that it would break me. Having written a critique about the life and work of Bret Easton Ellis (which was included in the publication of If They Can’t Take A Joke, 2007), I realize that I have an obsessive and meticulous tendency to throw myself into research work completely. That, and although it may be morbid, I would rather praise Fincher’s complete body of work than appraise a filmography that is always already in progress. I am such an ardent supporter of Fincher’s creative endeavors that I named my son Benjamin after The Curious Case Of Benjamin Button. 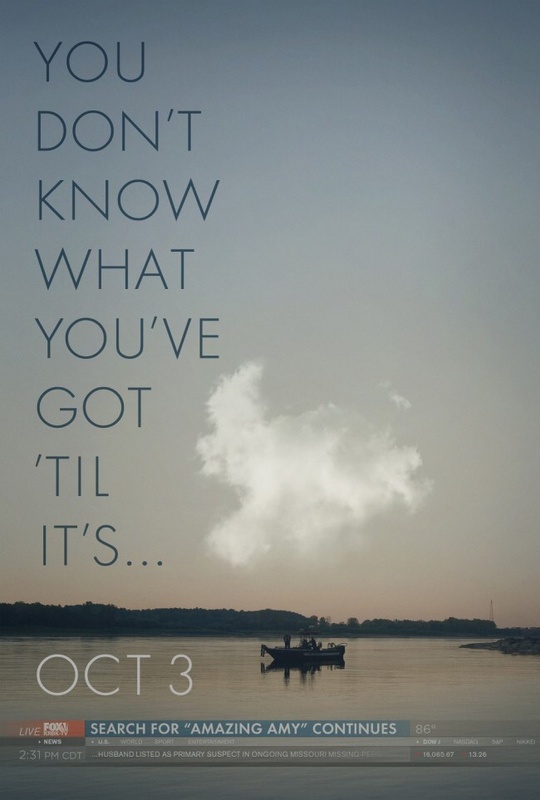 On October 3rd, Fincher’s Gone Girl opens in theaters starring Ben Affleck and Rosamund Pike. It’s based on the novel of the same name by Gillian Flynn. I just finished the book and it’s an intriguing contemplation on the identities we present when we start romantic relationships versus our actual identities, which bleed through over time. The book is about the disintegration of a five year marriage followed by the abduction and/or possible murder of character Nick Dunne’s wife Amy Elliot Dunne. What follows is a suspenseful unraveling of media aggression, police procedure, public relations, predatory litigation and premeditated character assassination. I’d rather not get into spoilers for the sake of readers, but the conclusion was silly and unsatisfying. It didn’t seem faithful to the characters. Luckily, it’s rumored that Flynn (who also wrote the screenplay adaptation) changed the ending for the screen version. I look forward to Gone Girl with eager anticipation. While many film buffs look down their nose at The Curious Case Of Benjamin Button and/or Panic Room, I don’t share their opinion. It should also be noted that Fincher recently executive produced and directed the first two episodes of Netflix’s popular original series House Of Cards (starring Kevin Spacey and Robin Wright). Notorious for filming multiple takes to find the best organic and natural scene for every film, Fincher is a relentless perfectionist. I can’t wait to see the finished product. I just finished Dennis McDougal’s Dylan (2014), a brilliant new biography about, well, Bob Dylan. In addition to being thoroughly researched and meticulously documented, it gave me a new appreciation for the artist, the man and the mystery shrouding his personal life. Some artists just aren’t as candid about their lives as others, and Dylan himself is notorious for misdirection, half-fictions and flat-out lies. I was especially fascinated by the production anecdotes behind Blood On The Tracks, which author McDougal claimed to be one of the very first breakup albums in the history of rock and roll. 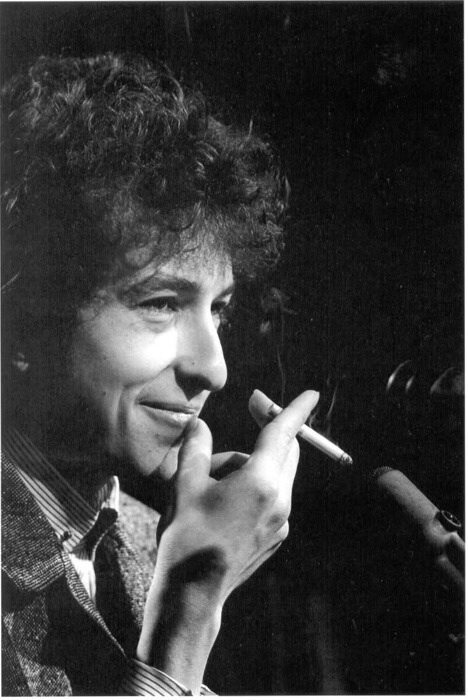 Dylan was so intent on making sure that the album was perfect that (after re-shuffling the track order), he scrapped half of the songs and re-recorded them weeks before its release. Many Dylan fans consider the album a return to form for the first time since his famous motorcycle accident in 1966. Whoever it is I wish they’d cut it out but when they will I can only guess. Blowing down the back roads headin’ south. I haven’t known peace and quiet for so long I can’t remember what it’s like. Visions of your chestnut mare shoot through my head and are makin’ me see stars. You tamed the lion in my cage but it just wasn’t enough to change my heart. Every time I crawl past your door, I been wishin’ I was somebody else instead. And all your ragin’ glory. This is not to brag, but I’ve got enough publishing credits to last me a lifetime. In the last ten years, I’ve written, worked for, contributed or been published in enough papers, magazines, ezines and quarterlies to last me a lifetime. I’d like to think at this point that I can pick and choose when, where and why I publish with anyone from here on out. That being said, though, there’s a special place in my heart for Acid Logic, one-man publisher/editor/juggernaut Wil Forbis’ online ezine of pop culture. He was one of the first national web sites to publish my work nearly fifteen years ago, and we’ve kept in touch ever since. He was also a guest on the now-defunct Big Words I Know By Heart Radio Hour, promoting Acid Logic as well as his book (same title, with essays from AL over the year penned by Forbis) and his music CDs. As a longtime Californian, Forbis and I just clicked. Those of you who have been following for awhile may also remember that Forbis wrote the forward to First Person, Last Straw, my third collection of essays in 2005. In other news, the writing on Travesty (my next book) is really starting to gather momentum. The book is almost halfway done. Like any other collection, it’s sure to find its own central theme by accident. It’s been a lot of fun so far. I’ve decided to drop my name from each essay for the very first time in the book’s layout. It seems redundant, and honestly, I’m too old to keep doing the nickname thing after every rant. It was a gimmick that caught on very early in my career and it’s high time to retire it. And the next ‘webisode’ of Big Words I Know By Heart is a little more than two weeks away. 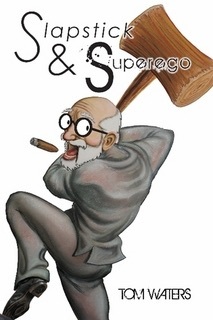 Comic book impresario Kyle Kaczmarczyk (Igor: Occult Detective, The Red Eye, Pulp and the award winning Fubar) will be joining me in the studio on September 24th along with co-host Jenny O.
I’m trying to find a delicate balance in my life where creativity is concerned, so I will make an effort to update more consistently here in an effort to keep you in the loop and up to speed. There has to be a happy homeostasis between overworking to the point of burnout and dropping off the grid for too long and losing readers (or viewers) in the process. I haven’t had it before, but it seems possible now. A lot of things seem possible now. You are currently browsing the big words i know by heart blog archives for September, 2014.